Walking through a bookstore can be an adventure, a treasure hunt and a windfall all at the same time. It is absolutely imperative to walk in with no preconceived notions, prejudices or limitations if you wish to have the greatest reward. I was talking with Debra at That Bookstore in Blytheville about a wonderful book that I had just completed and she instantly pointed me to a wonderful book called Murder on the Floodways. I’m glad I was open to her suggestion. Murder on the Floodways is a 255-page book written by author Harold G. Walker and published by Dragonfly Publishing Company. Walker describes, through the lenses of his own twelve-year-old-eyes, the way life was in Pemiscot County along the Floodways in December of 1957. Donald “Hokey” Busby killed his best friend Harry “Fats” Shell on the Walker family farm, and within a matter of hours, they were both dead. Was Hokey’s death by suicide accident or revenge? Why did Hokey kill his best friend? Walker a former resident of Bragg City, Mo., is a retired Marine that served as a CH-46 helicopter pilot in Vietnam. 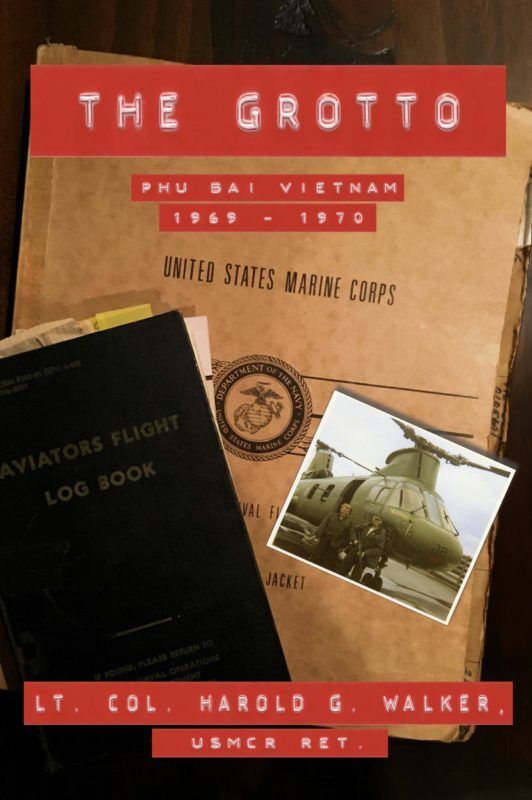 After his tour on active duty, he joined the Marine Corps Reserve as a UH-1N “Huey” helicopter pilot. In 1991 his squadron was activated to participate in Operation Desert Storm. He retired from the Marine Corps in 1998 with the rank of Lieutenant Colonel and continued his parallel civilian occupation as a Special Agent for various Federal law enforcement agencies including the Bureau of Alcohol, Tobacco and Firearms and the Federal bureau of Investigation. He later became a licensed private investigator. “Murder on the Floodways” is Harold’s first excursion into the world of literature. By using his skills as an investigator, he began a four-year investigation into the brutal killing that occurred on this family’s small cotton farm when he was a twelve-year-old-boy in Pemiscot County. Walker’s use of his preadolescent voice and perspective was genius. He could have written it as a typical, dry, crime narrative, but Walker’s pen brought forth the charming, flavorful, slow-paced voice of a traditional southern novel. Had he chosen to take the typical, sterile crime narrative approach; his characters would have remained distant and the setting would have been two-dimensional. The story would have been far too forensic. Instead, Walker’s autobiographical approach gives readers real characters, real tension, three-dimensional setting and a gripping, true story that feels more like adventures by a combination of Harper Lee’s Scout and Mark Twain’s Huck Finn. The reader, very quickly, stops being a reader and transforms into a participant that sees, hears, smells feels, and grieves along with the real-life characters from 1957. The pace of the book is masterful as well. Storylines must always move forward and characters must always grow. Walker absolutely nails that. But, the slow, comfortable Bootheel pace he employs adds to the story’s credibility and realism while wonderfully supporting the book’s relentless tension and conflict. It is clear that the true events of 1957 have had a lifelong effect upon the writer and his entire psychological makeup. The events helped make the man and it appears to me that a few of the decisions made by his parent, in an attempt to shelter the young boy from the crime, actually demanded resolution. The four-year investigation and the resulting book is a culmination of that resolution. The author interviewed all remaining live eyewitnesses and relied heavily upon his family’s memory of the events in order to weed past myth and to solve the previously unsolved. When deciding what “score” I would give this book I waivered between giving it a 9 (out of 10) or a perfect 10. Initially, I thought it couldn’t receive a 10 because it is a simple story about a crime committed in the area, but did it have the loftiness of art. Then a proverbial lightning bolt hit me – Shakespeare, Twain, Hawthorne and Faulkner all discussed topics no more loft than betrayal, murder, revenge, fear, family, love, coming of age, etcetera. So, my qualm isn’t about whether it is lofty enough. Perhaps, the book isn’t “high toned” enough, using antiquated phrasing and spellings. Balderdash! I give it 10 out of 10. All who love history, crime, coming of age or the local area will absolutely love this book. 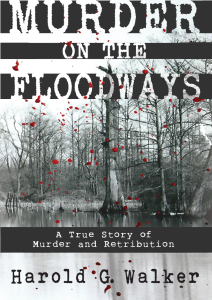 Murder on the Floodways can be purchase at That Bookstore in Blytheville, or elsewhere. 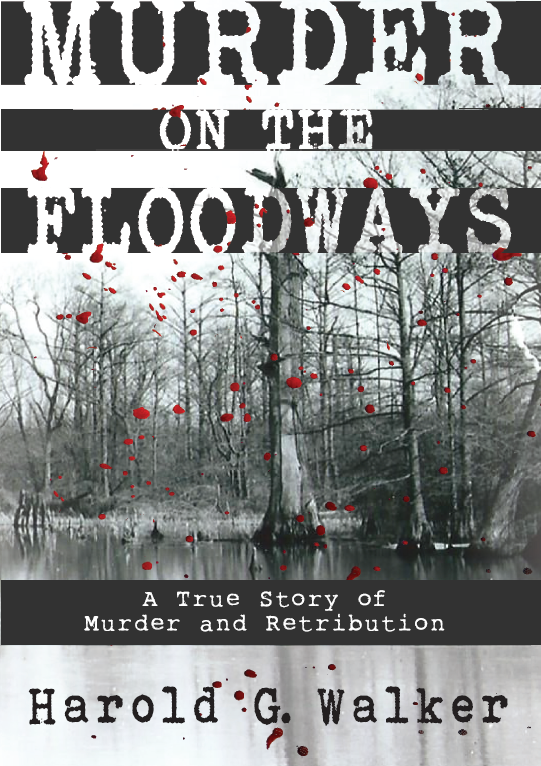 For more information about the book or the author, visit www.murderonthefloodways.com.